The Audi A5 is a compact luxury coupe, four-door fastback, or convertible that's related to the A4, but has a sleeker shape. It's the basis for the hotter S5, which we cover separately. 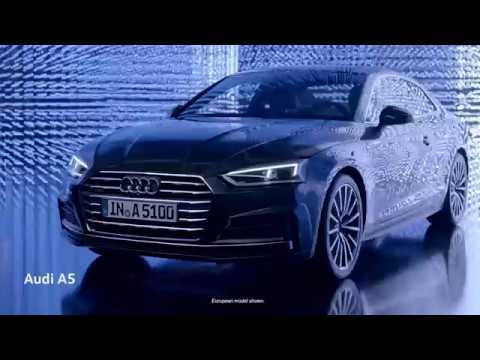 The second-generation A5 that debuted in 2018 is built on the same lighter, leaner platform as the new A4 sedan. The A5 comes with a 2.0-liter turbo-4 that puts out 248 horsepower and 273 pound-feet of torque. A 7-speed dual-clutch automatic transmission is standard. All models come with all-wheel drive that Audi calls as Quattro. With the A5, Audi has a rival for cars such as the Mercedes-Benz C-Class, Cadillac ATS, Lexus RC, Infiniti Q60, and BMW 4-Series. In 2019, Audi shelved a 6-speed manual in base coupes in favor of an automatic-only lineup. With 20 percent more power on tap and about 100 pounds of weight savings due to a trim new platform, the 2018 Audi A5 is quicker than the outgoing model, accelerating from 0-60 mph in as little as 5.7 seconds, and it's also decidedly sportier. Audi also includes a "Drive Select" system that lets drivers choose the parameters for the steering, throttle, transmission, and when properly equipped, adaptive suspension. Opt for the Dynamic settings, and it's even sportier. Ride, however, doesn't suffer. The A5 retains its mission as a comfortable grand tourer. You'd be forgiven for mistaking the new A5 with the outgoing model. Its edges are sharper this time around, but the silhouette is identical. The Sportback is the pick of the trio, only if its shaped is wholly plagiarized from the A7. Audi didn't mess with the A5's sleek styling, making it an evolution of the proven original. The lines are a little sharper, but the silhouette is very much the same, and the seductive look is basically unchanged. The Sportback rides the longer A4 wheelbase but effectively stretches the coupe's roofline into a sleek hatchback profile. The interior, however, is much different, and it's highlighted by the newly available Audi virtual cockpit digital instrument cluster. This 12.3-inch cluster offers various screens that show trip, navigation, and other infotainment information. It also gets an updated version of Audi's Multi-Media Interface with handwriting recognition. The Sportback's longer wheelbase gives it a roomier rear seat, and the hatchback body style adds real cargo utility. New safety features include collision warnings with pedestrian detection and automatic emergency braking, blind-spot monitors with rear cross-traffic alerts, active lane control, and automatic high beams. The Audi A5 and S5 coupe were introduced in the 2008 model year with a distinct division of power. The A5 two-door hardtops received a 265-hp, 3.2-liter V-6 with direct injection and a choice of a 6-speed manual or automatic transmission. This edition also had standard Quattro all-wheel drive, which gave it substantial curb weight—but not as much of a performance penalty as expected, as Audi estimated 0-60 mph times of about six seconds. Our editors praised the A5's ride, refinement, and ravishing looks, but took note of the A5's cramped back seat, and the relative lack of steering feel. An optional S-line package firmed up handling somewhat, and a Drive Select option allowed drivers to choose settings for the electronically controlled suspension, steering, transmission, and throttle with mixed results. For the 2010 model year, Audi added several new options to the lineup. Both the A5 and S5 arrived in handsome Cabriolet form, with a power-folding fabric roof. 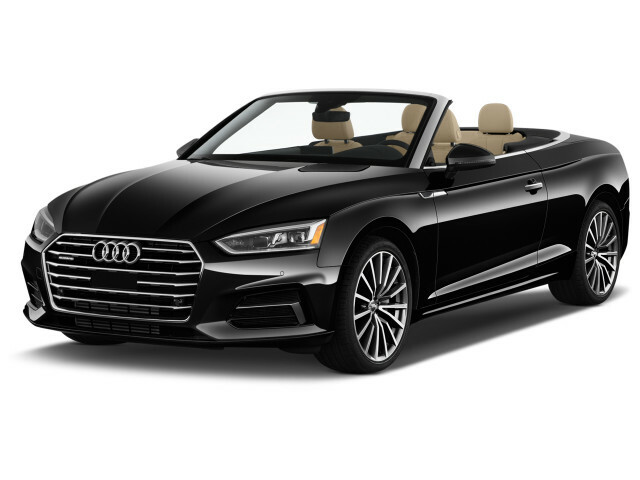 Cabriolets adopted optional Drive Select, while the Quattro all-wheel-drive system on the S5 coupe and Cabriolet was tuned for a rear power bias. 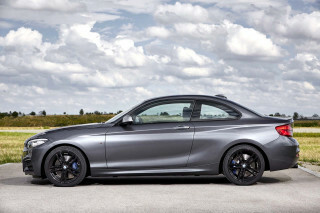 As for the A5 coupe and Cabriolet, things became more complex as well. 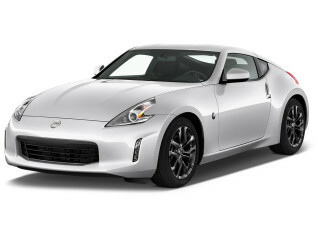 The base coupe received a new turbo-4 with 211 hp (now the only A5 engine), all-wheel drive, and a 6-speed manual transmission, with an option for a 6-speed automatic. 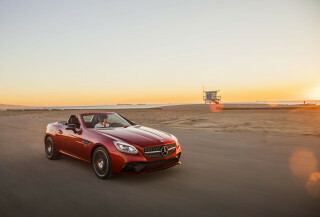 The base Cabriolet arrived with front-drive and a continuously variable transmission mated to the same turbo-4; all-wheel drive was optional on the Cabrio and was packaged with the conventional 6-speed automatic. For the 2014 model year, Audi increased power fro the A5's turbo-4 from 211 to 220 hp. All-wheel drive was standard, and Drive Select was an option. Coupes came with a choice of a 6-speed manual or a new 8-speed automatic; Cabriolets offered only the automatic. Audi also fitted its most advanced telematics and infotainment features to the A5 (and S5 as well as the RS 5), including Audi Connect, which added 3G connectivity to turn the car into a rolling wireless hotspot. The navigation system added the ability to render maps with Google Earth and Google Street View data to gorgeous effect. A Bang & Olufsen audio system was available, as was adaptive cruise control that could bring the car to a complete stop if it detected an obstacle at speeds of up to 19 mph. 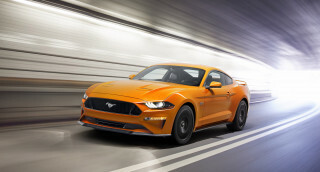 Changes for the 2016 model year were limited to standard and optional equipment adjustments. The S line exterior package became standard, and Audi Connect became part of the Navigation Plus package. Premium Plus models came with a Bang & Olufsen sound system. For 2017, the A5 lineup was carried over with no changes. Glad we bought this car over others like BMW and Mercedes. 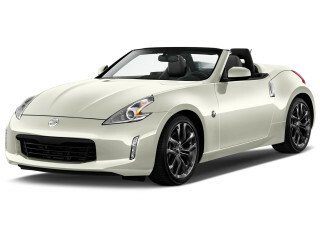 great car for an exciting driving experience. Fun car to drive. Great interior, excellent handling. Stunning body lines.